2012: The air is warm yet comfortable. Donning a pair of shorts and a long sleeve t-shirt, I take to the start line. I go out with what I call controlled aggression. I look to maintain a 5:00/km pace. Fast enough to keep me on target for a 2:30 finish, but with enough pacing to allow myself to pocket energy for the hills that will challenge me later on in the race. 2015: It’s blustery and cold this morning. With a wind chill of -4C, I am layered up with 3 shirts, a pair of long underwear beneath my warmup pants, and two pairs of gloves. Though not as cold as the winter has been, it is nonetheless uncomfortable out here. By the 2 kilometre mark though I have shed the top layer of gloves. The winds will be aiding me on the first half of the course but will be going against me in the final 15 kilometres. Furthermore, the winds that will face me later will be much stronger than the ones that will be pushing me forward for the first part of the race. In 2013 the first 10 kilometres of this race was interrupted, by of all things, a train crossing. Though I would make it safely across the railroad tracks before the delay, thousands were affected, prompting a change of route for the first 10 kilometres as of the next year. Today that same amended route is still in play. With rolling hills, this amendment yields a much harder opening than had existed in 2012. 2015: The second 10 kilometres see us heading north along the Bay’s edge. At last the rolling hills are behind us and I feel I can settle into my pace. Still looking at sustaining a 5:oo/km effort, I am confident that if I can keep myself close to the pace I set 3 years ago that my training will pay off, allowing me to mount an assault in the homestretch. Giving me a new personal best (PB) in this great race. 2012: The winds are starting to come at us in the second 10 kilometres. But thankfully they are light and are really not much of an issue. 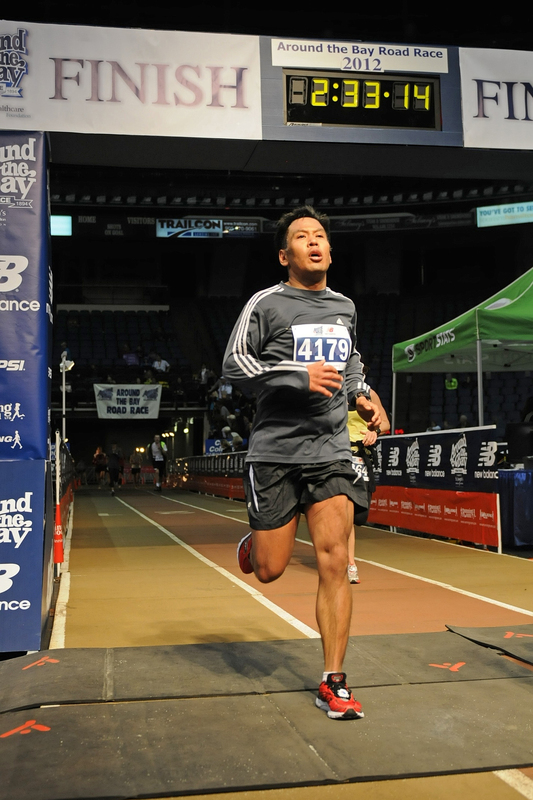 My pace is set and I easily maintain my stride. Going into the hills that mark the final stretch of this race, I know I can beat the 2:30 mark. 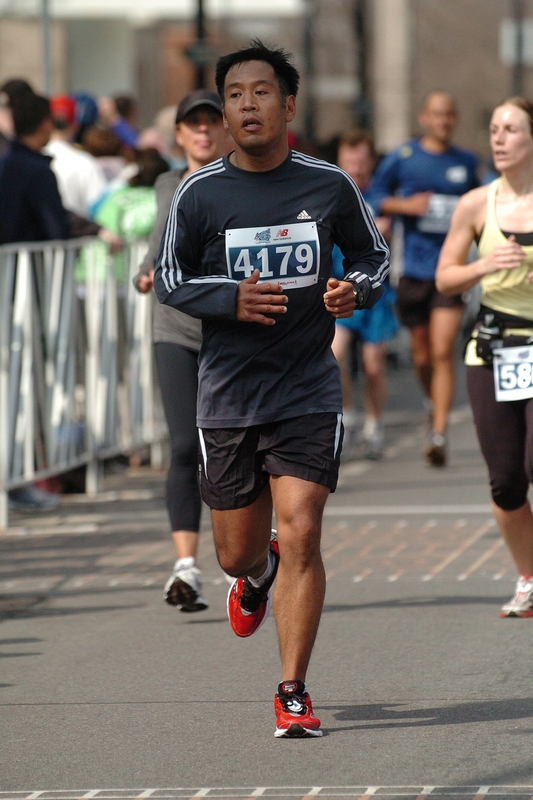 2012: The hills are formidable in these final 10 kilometres but I do well by them. Though my pace has slowed somewhat due to the challenge, I have banked enough time that I am still in very good shape to meet my goal time. But as I summit the final and most daunting of the hills, my right calf tightens inexplicably. I am hobbled but not badly. The final couple of kilometres are on a gentle downhill meaning I can hold on for the finish. But the strong close that I had planned needs to be sacrificed. 2015: The route has been changed this year over the final 10 kilometres. Though still hilly, construction looms on the site of the final most crucial ascent of the course. The resulting detour is relatively flat with only a gentle uphill climb. The winds however are strong and they impose themselves all too willingly. I glance at my watch. 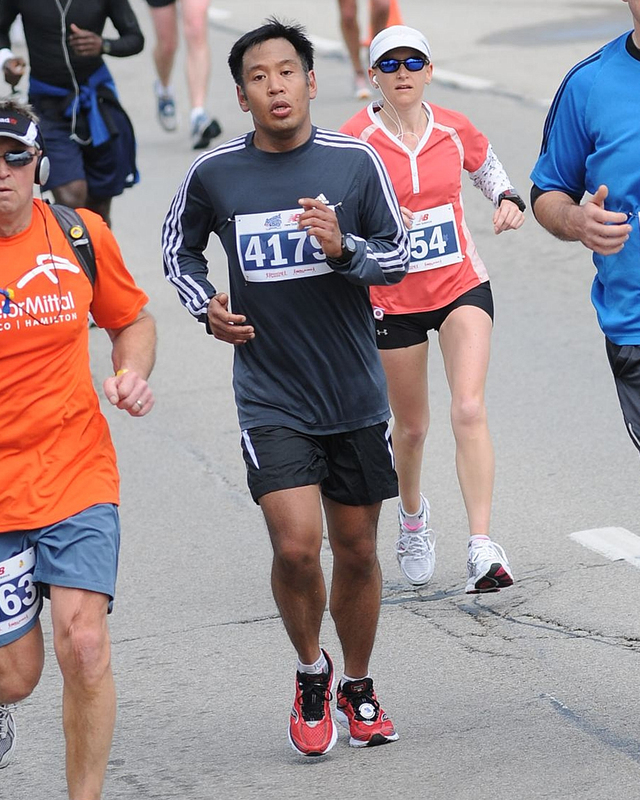 Despite the gusty conditions I am gaining ground on my 2012 PB. My legs are strong. My training boosts my confidence. And I hammer home the final couple of kilometres. I made a very strong push this morning. I felt really good, particularly in the final stages. I am extremely proud. Yet ultimately, it wasn’t enough. Could I have pushed harder earlier in today’s race? Had I seen the 2012 version of me running those final kilometres on the course today, would I have cranked up the pace enough to chase down that hobbled version of my younger self? Had I seen the 2012 me today, would I have done a better job of keeping him in sight? Would the younger, less experienced me have succumbed to the pressure? Would 2012 me have pushed too hard and injured himself sooner; or for that matter injured himself worse? Or would 2015 me have imploded trying to keep up with the stronger earlier pace from 3 years ago? With the course changes, is the terrain of today’s race easier? What means more? The more arduous first 10 kilometres of today which would arguably take out my legs earlier? Or a harder final 10 kilometres, as was the case 3 years ago? What about the weather? It was worse today. I wore more layers which surely hindered my time today moreso than my attire and the weather conditions did back in 2012. Assuming the same calibre field of racers, each of these additional metrics reveals conclusively that I fared better today than I did in 2012. Meaning, I could contend, that the 2015 me is in fact the stronger runner. In the end however, it’s all speculation isn’t it? The hard and fast — pun intended — truth is I finished less than 15 seconds off a new PB. The difference being less than 0.5 seconds for each kilometre split. Or even more magnified, the difference being less than 0.05 seconds for each 100 metres. Am I upset? No. I gave it everything I had today. Just as I did in 2012. Just as I always have and always will. Am I contemplative of what could have been today? Evidently. But while I’m at it, here’s something else to ponder. Six weeks after setting a PB in the 30km in 2012, I went on to set another PB. This time in the marathon. A PB which still stands to this day. 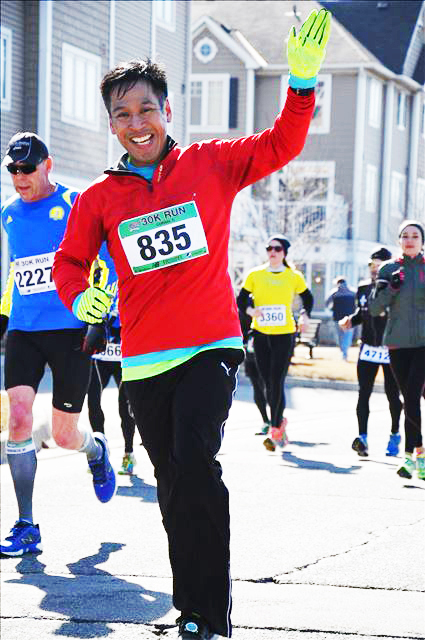 In that marathon of 3 years ago, The Goodlife Fitness Toronto Marathon, I again went out hard only to slow precipitously in the final stages. I will race that very same race in 5 weeks time. With how close I came today to establishing a new PB, will I be smart enough/lucky enough/fit enough to thwart the challenge of the 2012 me? I noticed that you missed the PB by 15 seconds. I knew that would bug you even though the conditions were much tougher out there today then 3 years ago. You pushed yourself HARD for the past several months. But the other metrics (comparing to the rest of the field) shows the improvement and that the timing chip are relative. Verdict: 2015 Rod. Not even close. 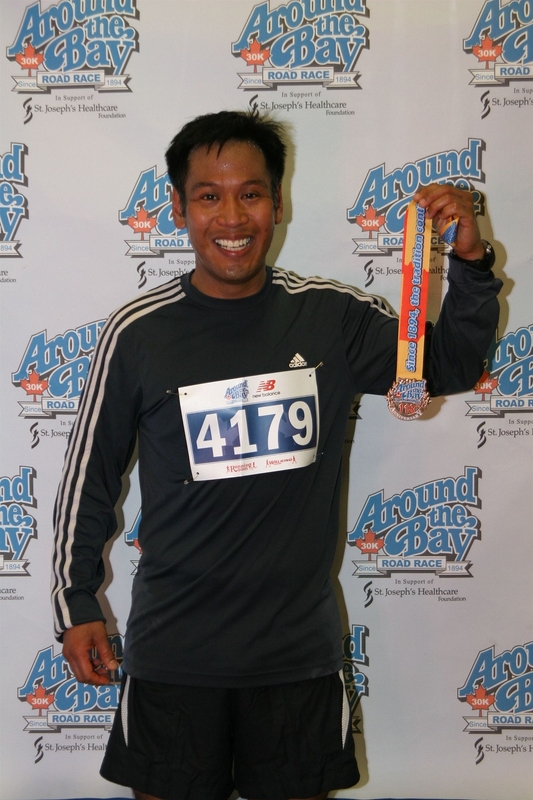 Lookout Goodlife Toronto Marathon…just saying. I really appreciate your support and encouragement Raymond. I believe I owe you some baking on your next visit! wow Rod great RUN! 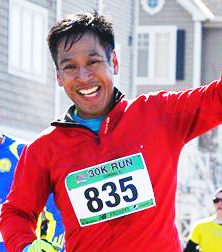 how do you run 30 km and still have the energy to stand up and take a picture. Hope someday I’m good enough to run with you….